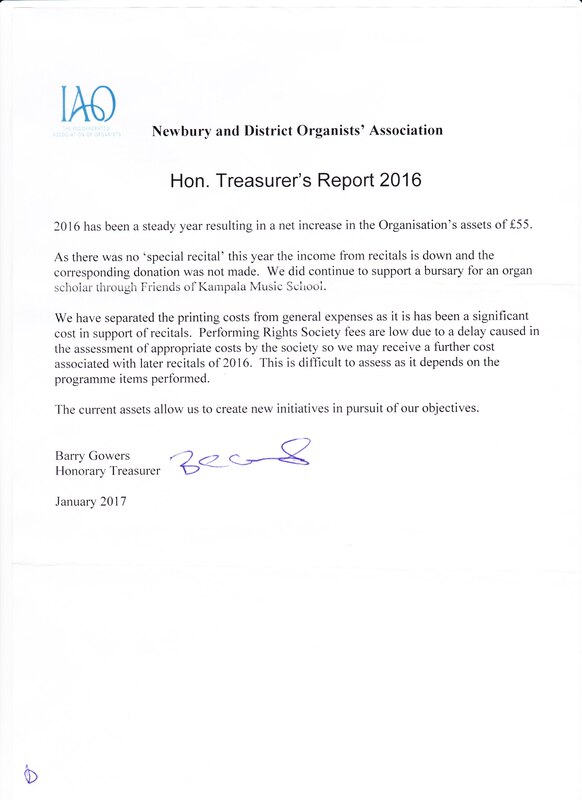 The 2018 AGM will be held on Saturday 24th February 2018 at 2pm at St. George’s Church, Wash Common, Newbury. RG14 6NU. 4pm – Talk by retired local organ builder, Tony Foster-Waite. Priority for playing will be given to anyone who has not played before. Please also find below the documents from last year’s AGM. The 2017 Treasurer’s Report will be available on the day.